SLBC: The Sri Lanka Broadcasting Corporation reached yet another historic milestone, the station recently celebrated 40 years in broadcasting on January 5, 2007. On that day the then Prime Minister of Ceylon, Dudley Senanayake, the Minister of Broadcasting Ranasingha Premadasa and one of Sri Lanka’s finest civil servants, SLBC Director General, Neville Jayaweera lit the oil lamp on January 5, 1967 at the auspicious time of 7.18 a.m. – the Kandyan drums heralded the re-branding of Radio Ceylon, the oldest radio station in South Asia. The Prime Minister Dudley Senanayake unveiled the plaque which can be seen to this day in the foyer of the radio station. Broadcasting on an experimental basis was started in Ceylon by the Telegraph Department in 1923, just three years after the inauguration of broadcasting in Europe. Gramophone music was broadcast from a tiny room in the Central Telegraph Office with the aid of a small transmitter built by the Telegraph Department engineers from the radio equipment of a captured German submarine. The results proved successful and barely three years later, on December 16, 1925, a regular broadcasting service came to be instituted. On December 16, 1925 the then British Governor Sir Hugh Clifford inaugurated the broadcasting service – It was first known as Colombo Radio. The name was changed to Radio Ceylon and the radio station shifted to Torrington Square on October 5, 1949. Radio Ceylon broadcaster Gnanam Rathinam in her book ‘The Green Light’ (Memories of Broadcasting in Sri Lanka) notes: ‘In 1943 the Broadcasting Station premises was sited in a bungalow named The Bower, in Cotta Road, Borella (in the city of Colombo). In early days the programmes in all languages were scheduled and produced by announcers who covered airtime as well. 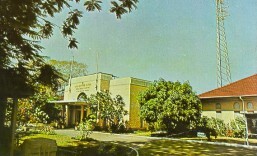 The Colombo radio station at ‘The Bower’ ceased broadcasts by midnight on December 31, 1949 and Radio Ceylon came into being on January 1, 1950. On January 5, 1967, it became a state corporation – the Sri Lanka Broadcasting Corporation. The Sri Lanka Broadcasting Corporation produced some of the finest broadcasters in the world, among them – Livy Wijemanne, Vernon Corea, Pearl Ondaatje, Greg Roskowski, Tim Horshington, Claude Selveratnam, Jimmy Bharucha, Thevis Guruge, A.W. Dharmapala, Karunaratne Abeysekera, H.M. Gunasekera, S.P. Mylvaganam, Gnanam Rathinam, Nihal Bhareti, Eric Fernando, Leon Belleth and Vijaya Corea to name a few. I grew up in a world of broadcasting. My father, Vernon Corea joined Radio Ceylon in 1956 as a relief announcer during the Clifford Dodd era of the Commercial Service. Clifford Dodd, an Australian administrator was seconded to Radio Ceylon via the Colombo Plan. Working with Livy Wijemanne they transformed the Commercial Service making it a lucrative arm of the radio station. The Hindi Announcers – Gopal Sharma, Vijay Kishore Dubey, Shiv Kumar Saroj, Manohar Mahajan, Sunil Dutt (who went on to become a massive Bollywood icon), Hamid Sayani, Amin Sayani, Vijaylaksmi de Saram played a pivotal role – millions across the Indian sub-continent tuned into Radio Ceylon and subsequently the Sri Lanka Broadcasting Corporation – making the SLBC ‘King of the Airwaves’ in South Asia. The SLBC was unbeatable. I remember so well as a child growing up in Sri Lanka, visiting the SLBC, entering the grand foyer – you hear the hum of the generators, the massive reception desk was your first port of call. There is only one SLBC receptionist I remember and she is Ranjini Wickremasinghe who had a ‘broadcasting romance’ and married my uncle, Vijaya Corea who went on to become the Director-General of the Sri Lanka Broadcasting Corporation. 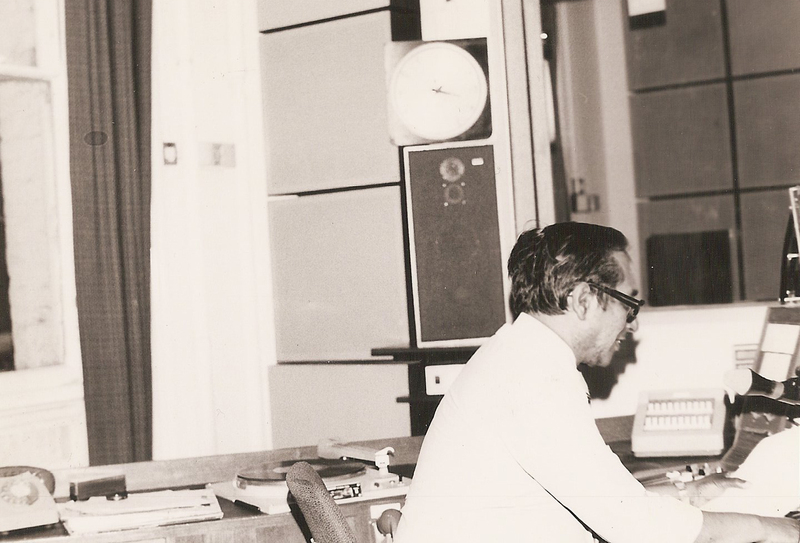 The studios harked back to the golden days of Radio Ceylon – and they are preserved to this day – it was a privilege to join forces with Nihal Bahreti and Clifford Basanayake and record a whole series of radio programs for the SLBC when I last visited Sri Lanka in 2003. I interviewed Cliff Richard at the Greenbelt Festival in the UK – the first ever interview with Cliff for the SLBC which was broadcast in 1981 on a special program. Cliff told me that he would love to visit Sri Lanka – his wish will soon be a reality – when Cliff visits Sri Lanka- for a concert in Colombo in February, I believe. Cliff told me that he only visited the airport in 1972 and he was given a wonderful cup of Ceylon tea – he sent his best wishes to all his fans in Sri Lanka through that interview broadcast on the SLBC. The SLBC has featured some of the finest talents of the nation – Pandit Amaradeva, H.R. Jothipala, Nanda Malini, Premasiri Khemadasa, Nimal Mendis, Bill Forbes, (who starred with Cliff Richard in ‘Oh Boy’ the television show in London) Cliff Foenander (who went on to sing in Las Vegas), Des Kelly, Mignonne Fernando and the Jetliners, Clarence Wijewardene, Annesley Malewana, A.E. Manoharan, Desmond de Silva, C.T. 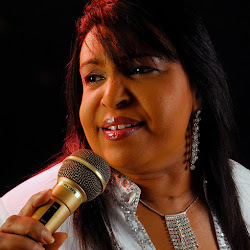 Fernando and a whole host of artistes became household names through the airwaves of the Sri Lanka Broadcasting Corporation. I have always maintained that the Sri Lanka Broadcasting Corporation is a national treasure of Sri Lanka – I was delighted to hear that a museum, a linguistic library, a disaster communications unit and a magazine launch commemorated this epoch making day. Anura Priyadharshana Yapa, the Minister of Mass Media and Information appreciated the successful achievements of the SLBC for the last 40 years. Minister Yapa pointed out the importance of maintaining a ‘Linguistic Laboratory’ and requested the authorities to let the public to get access to it, which he believed could serve in its best capacity of the purpose of maintaining such a unit. Sri Lanka can be proud that she is up with the great broadcasting nations of the USA, UK and Germany – it was Edward Harper, a British engineer, who, together with Ceylonese radio enthusiasts carried out the first radio experiments when her arrived in Ceylon in 1921 as Chief Engineer of the Telegraph Office in Colombo. Sri Lanka celebrated 80 years in broadcasting in 2005. The Sri Lanka Broadcasting Corporation needs to lead the way in digital broadcasting and I am convinced that with the right financial support, the SLBC will be a shining beacon in the world of broadcasting – in the years to come. They will still be talking about the SLBC in another hundred years. This entry was posted in SLBC - 40 Years in Broadcasting. Bookmark the permalink.